This is my long awaited labor day weekend as it is a 3 day pass away from minionhood. Updates from previous life’s work place for Mr Rubber…they gave the boot to my ex warlord for mishandling Ms Pouty who embezzled $5 million. I now believe that there is a such thing as karma. Mr Rubber was not a nice person and so I felt the need to leave after a month and joined Electrical Lord. Perhaps it was from the frying pan into the fire? But on hindsight given the police investigations, I am glad to be out of that place. At that point in time, I thought I had Hobson’s choice and my gut feel was to leave Mr Rubber as I felt there was something not right. Sometimes in life…one may never know why things turn out the way they were. I question the oracles of upper intelligentsia endlessly and of course I am clueless as silence reigns. Who would not when sometimes it goes beyond my inflection point of tolerance. I now wonder what is my purpose to be stuck with Electrical Lord…. Ha!! I would see it like everyone else! Who would believe that the bushy carrot top is actually a puny carrot below ground. Hmm…actually a farmer would know. Technically if the carrot top is bushy, the nutrients are fed to its glorious head of of fronds! Thus, the carrot would be a small one. Moral of my story is….sometimes a little investment can pay handsomely. Not all heavily invested investments can reap mega returns. The bushy carrot top is the illusion of lucrative returns when in reality….a teeny tiny root vegetable awaits. Just my theory and self interpretation ha ha! The statue stands six feet tall and sits near the Institute of Cytology and Genetics in Novosibirsk, Russia. The artist is Andrew Kharevich. I have seen how vineyard owners slog under the hot sun, pruning or checking the grapes for bacteria or fungi infestation. If frost sets in, they risk the loss of the anticipated harvest. This may put them in a difficult harvest year. Raisins are made from table grapes and not wine grapes. Silly me thought it was all the same till I visited Australia for fishing and of course the lure of the vineyards were too great to ignore. The bunches of grapes are gorgeous to look at and admired! For once my phone camera skills were not wasted ha ha! I also took the photo above as each row of grape vines had a different colored rose bush to denote the variety of grapes. I had the opportunity to “steal” some grapes off the 100 year old vines of a rather reknowned vineyard in Adelaide. Truth be told, we were offered a taste but if it was not because of who we knew, I would not have had a chance to taste it. Pictured below, I thought it would be tasty. Tiny little buttons I call them and they had lots of seeds. 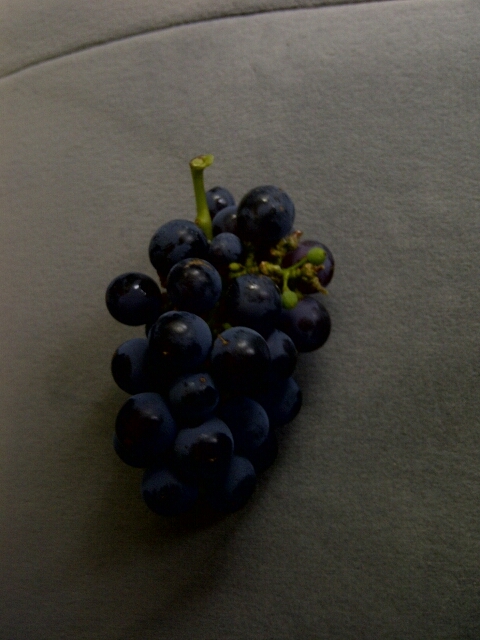 Lots of tannins and the skin is chewy and thick unlike table grapes! 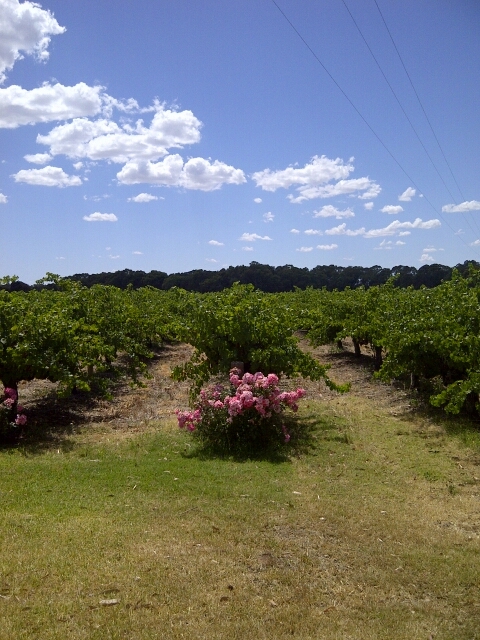 This was when I realised that Thomson seedless grapes from supermarkets were table grapes. The juicy globules are succulent and meant for table eating. Table grapes are chockful of sugars and must not be taken in literal bunches as it is loaded with sugars and sugars not expensed can lead to huge calorific intake! So when I saw this image from internet on raisins and wine….I beg to differ! Perfect definition of a human called Electrical Lord who is a kill joy and technically defines him to be a DONKEY!! I have never met a man who can talk non stop for 9 hours! Today, I have been caught in the evil clutches of Electrical Lord from 1pm till 10pm. No lunch, no dinner before he finally waved me off to go home whilst keeping the rest as his “trusty audience” to shoot the breeze! He must have seen my tiredness or rather, my internal silent cussing of a man who can talk nonsense! To me, he disrespects my personal time and is not bothered if we ate or starved whilst at “work” with him. Literally…not work related but gabbing away at his meritorious life…of his repeated monotony of his generous donation of $300,000 to a charity by the siblings four! I often hear the true philantrophists sharing that merits must not be used as advertisement ie one must donate silently. Shouting about it, defeats the “charitable” touch! Today’s sermon centred on his daughter studying in a reknowned school in little red dot eying to go to New York to read law. This little brass crass lass is the most arrogant person I have ever met. An apple does not fall far from the tree is my feel as she is barely 15 years old but behaves as if we are the servants of her father’s palace. Ill mannered and rude with a turned up nose, she uses profanity on people at work. Other topics include how people are “jealous” of him…sheesh…he is not uber rich on Forbes or Fortune 500. He pales in comparison to tycoons and cannot even meet the toes of Bill Gates, Donald Trump or even Asia’s Li Kah Shing! Basically he is an asinine man who is disrespectful of one’s private time. If he is not toting up on whisky and drinking enough to poison his liver, he is gabbing rubbish! Sigh!! Mr Ex gamely asked what do I write on my blog posts. Mr Ex has a blog post too and hosted on WordPress as well but he bemoans the fact that he gets little response. “Do you read other people’s blog posts?” I asked with glassy wide eyes to act innocently so as not to show him as being you know…DUH!! LOL! “No, I do not read their posts, nor do I respond to their comments,” he said. “Silly you!” I hissed back. The adder has to appear after a while as this is truly blog post manners right?! I have read his posts and besides reeking of holier than thou articles and motivational rah rah of his this or that, it is hard for me to relate to as it is heavy reading. Bone dry content! Lighten up dude and write something people can relate to or read for fun. Be silly! He cannot hang loose as he is often in a monkey suit like the run of the mill passe business men style. He the shot me the “I deserve” it question! I am to me, an accidental writer. I write about anything or everything that comes into my itty bitty head. It can be something that someone commented or said. It can be something written in print. It can be about my evil workplace and gawd knowd how much I have written on these. It can be about nature. It can be about the news. It can be about my illness. Truly, I am never at a loss for words thus far. I babble like the proverbial babbling brook. Being a verbose person, he suggested I write a book! Each chapter could comprise several posts. This is a rather nice accolade from him as he thinks I am capable of writing a book, albeit in virtual style. Nah!! Too much work…I am happy so long as I can elicit a laugh out of a person reading my posts, it makes my day! It is not about seeing a copy of my book in the E book store or bricks and mortar store. I cannot visualise self at book signing corners at stores.. with my squiggly fowl scratches..it will not make written sense! It would be nice and memorable but I have no legacy to leave to anyway. Unless my furballs count ha ha!